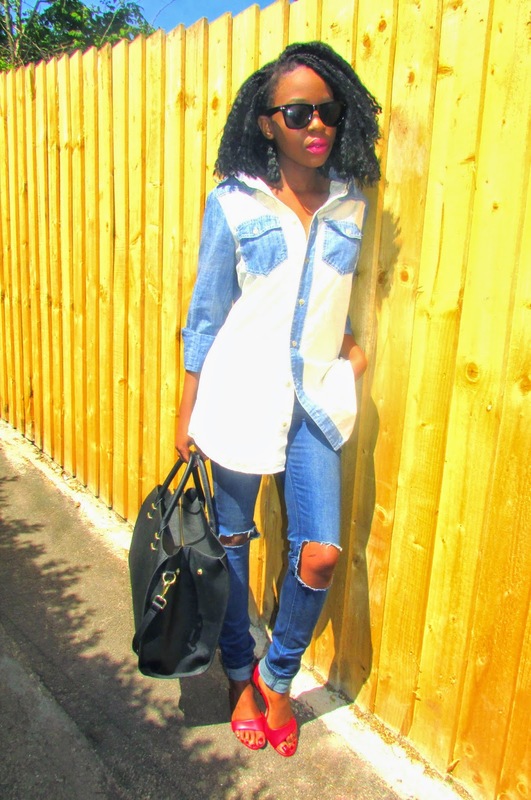 River Island Sunglasses / Very.co.uk Denim Shirt / DIY Ripped Jeans / H&M Bag / New Look Heels. 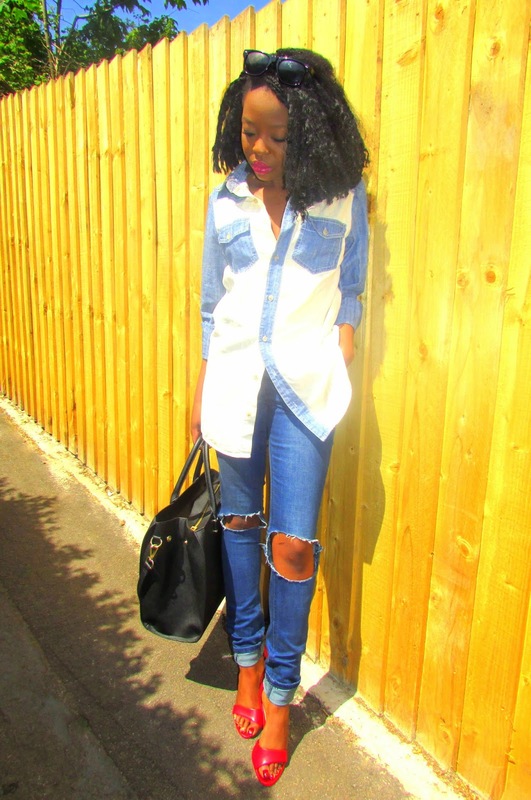 My latest obsession: Ripped Jeans! 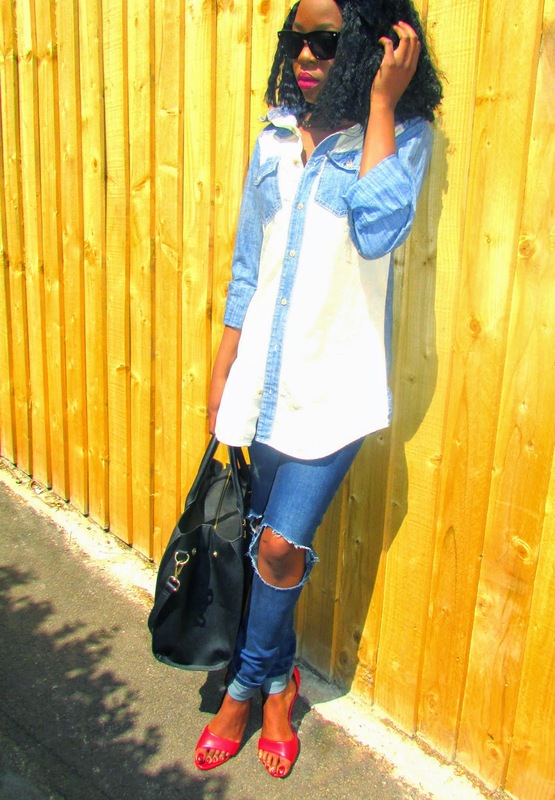 Pretty much ruined by the splendor of these denim pieces; another minimalist look comes your way. 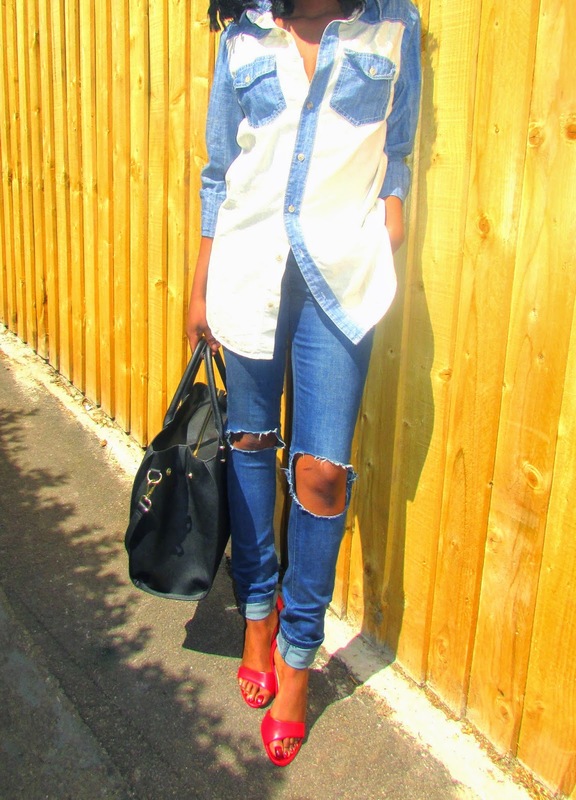 I've never really been an avid fan of denim but surprisingly it now seems to have become my best friend. All about the button downs unbuttoned just to the cleavage area, maintaining just the right amount of decency. 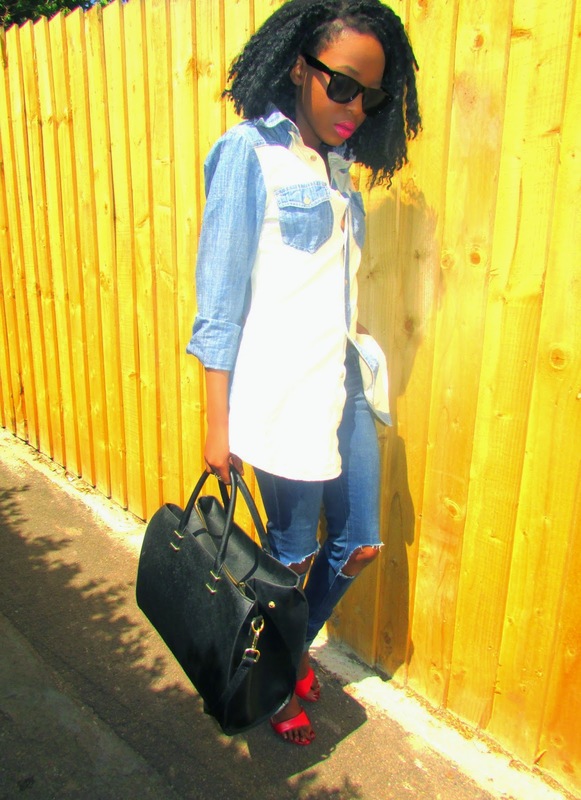 If there's one thing I love about skinny jeans; they are forever in fashion's favour. 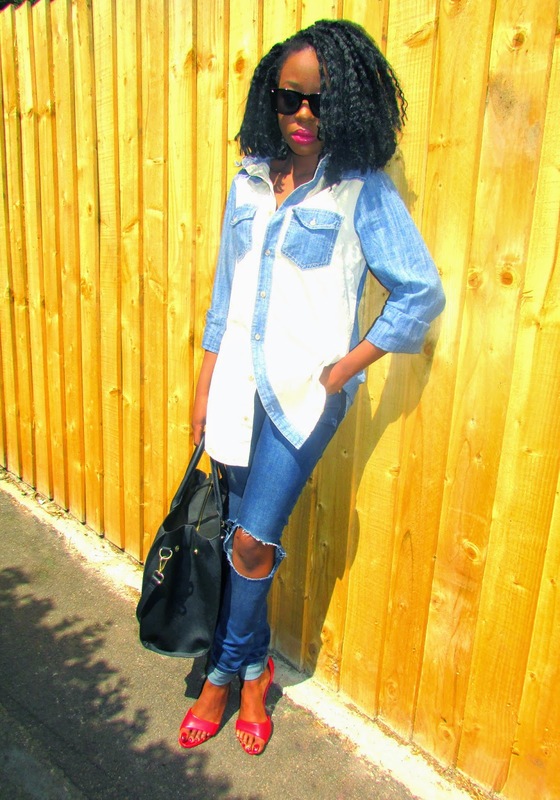 Teaming them up with a simple denim shirt and a pair of classic red strappy heels, I'm blaming old age for these rather simple ensembles.